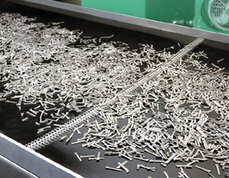 For easy, economical installation and an exceptionally smooth joint, choose the Alligator Belt Lacing Fastener system. 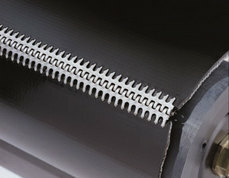 Uniform tension is provided across the belt width by the one piece design. Ease of installation is also another major factor when choosing Alligator Lacing as only a hammer is required for fitting. Designed for belts from 1/32" (0.8mm) to 1/2" (12.5mm) and can operate over pulleys as small as 1" (25mm) dia. Only a hammer and a solid surface to work on required to fit Alligator Lacing but also consider the Alligator Staple Fastener with improved "reach back" and flush finish but requiring an installation tool. Our Sales Engineers can advise on your application.